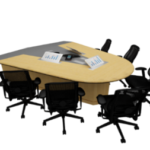 State of the art patent pending video optimized conference tables! 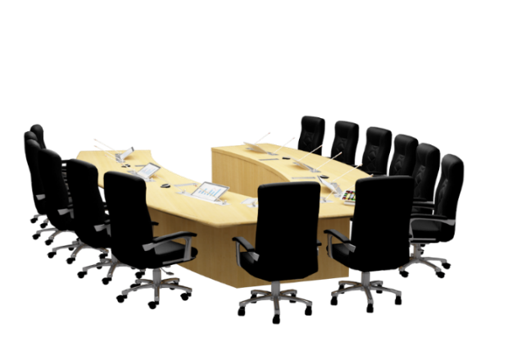 Designed to improve eye contact, reduce clutter, reduce ambient equipment noise & make embedding technology easier. 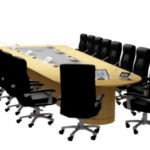 All that while dramatically improving room aesthetics! 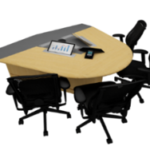 These specialized video collaboration experience optimized tables have a place, storage and marking for the technology that can be embedded today or in future to give you completely clutter-free and cable-free look to improve productivity and aesthetics! 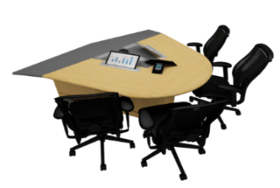 It is built on stainless steel legs with high density fiber tops with rounded finish that is very kind to wrist and comes with fully customizable grain type and color finish. 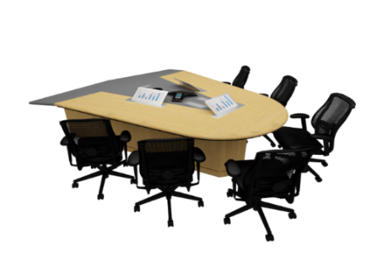 Further, these tables are easy to completely dismantle for easy shifting in future and to protect your investments! 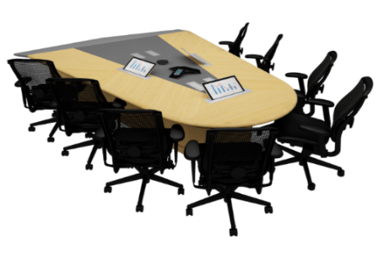 Technology-embedded Conference tables with defined spaces for every equipment on the table ensures your conference tables look absolutely beautiful and serve 100% collaboration requirements. 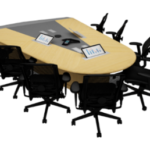 “Patent pending” Specially Tapered design tables attached to MDTADS ensure highest possible eye-to-eye contact in video collaboration. 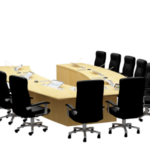 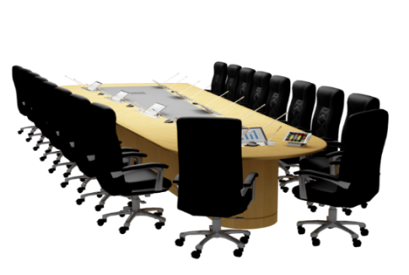 Table shape has been designed specially to help you see the least of table and most of participants’ view in all video meetings.